Bazaar in Egypt is a company that provides various ornamental and memorable pieces online. Combining quality and commitment to customer satisfaction, Bazaar in Egypt is your one-stop online store for Christmas tree ornaments and handmade glass Egyptian Perfume Bottles from Egypt. Customers can view all these amazing products online right from the comfort and convenience of their homes, Bazaar in Egypt is dedicated to providing its customers with high-quality items that offer value for money. 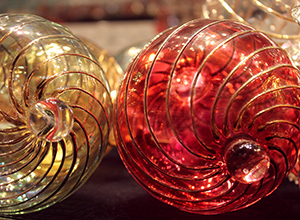 Christmas is a special occasion and nothing compares to the additional touch of hand-blown glass Christmas ornaments that can be shared by everyone during this season. 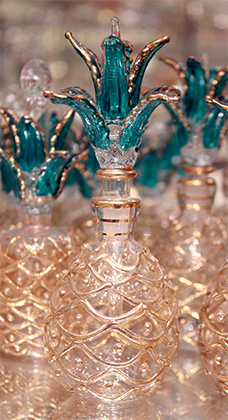 Egyptian culture is synonymous with specially made hand blown glass perfume bottles that are unique, visually appealing and designed to last for a long period of time. Choosing the ideal Christmas gift does not have to be an overwhelming task during the festive season, Bazaar in Egypt offers Christmas gifts in the form of the pyramids that ancient Egypt is well known for. The pyramids are a representation of ancient architecture that stood the test of time and would serve as exceptional display pieces in any home. Shopping from Bazaar in Egypt involves the simple process of going online; viewing the amazing items on offer and making a selection from the wide variety. You can try and order Egyptian hand-blown glass ornaments and glass perfume bottles, just a click away, take a tour through the wonders of Egypt online and get the chance to buy a memorable gift that is handcrafted, high quality and authentic.